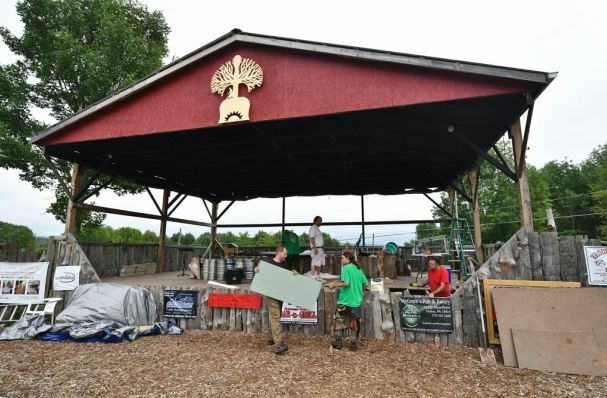 The first-ever Inclusion Festival at Mountain Sky in Jermyn is a music, arts, yoga and wellness festival geared toward individuals with autism and other neurological conditions. Barron and Pinder have both worked in special education and always wanted to create an event like this. After traveling to Mountain Sky for a festival last summer, the duo decided the venue provided an ideal space for such an event. “We realized we had the same dream and vision,” Pinder said. “Everything started falling into place,” Barron added. The festival will feature live music, workshops, a community resource fair — where individuals and families can learn about resources throughout Northeastern Pennsylvania — and activities for mindfulness. “Our hope is to connect people with these activities,” Pinder said.